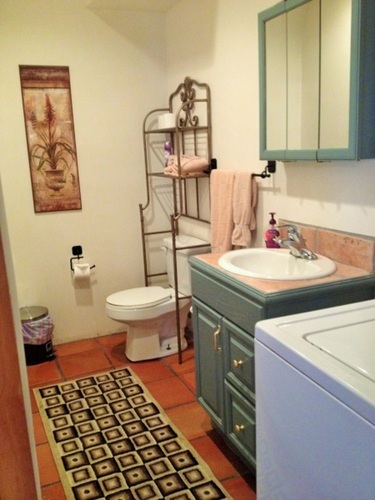 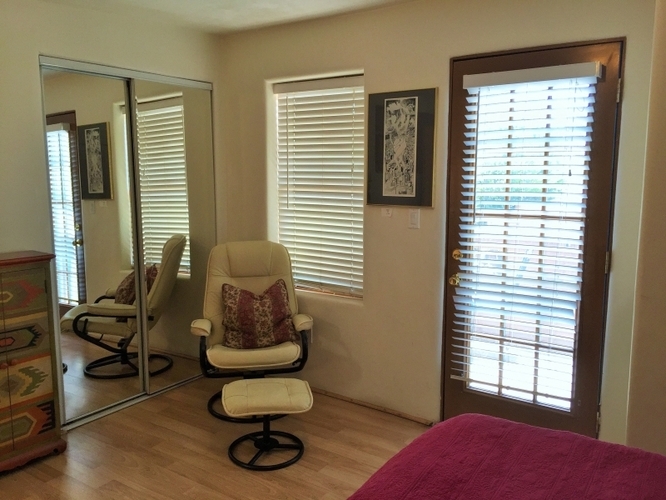 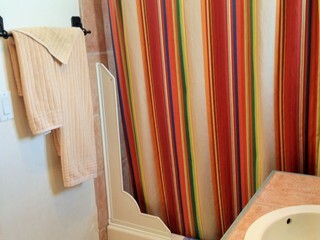 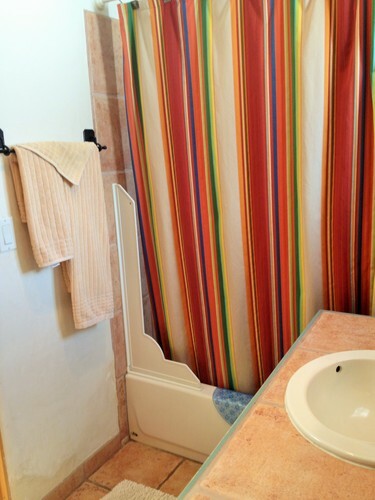 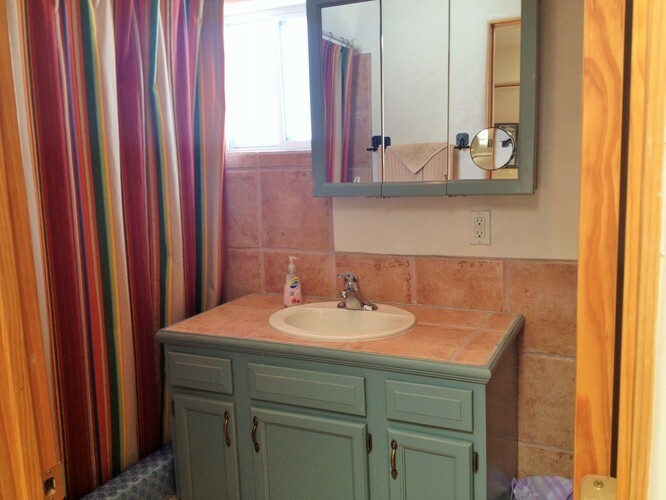 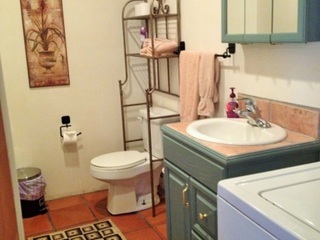 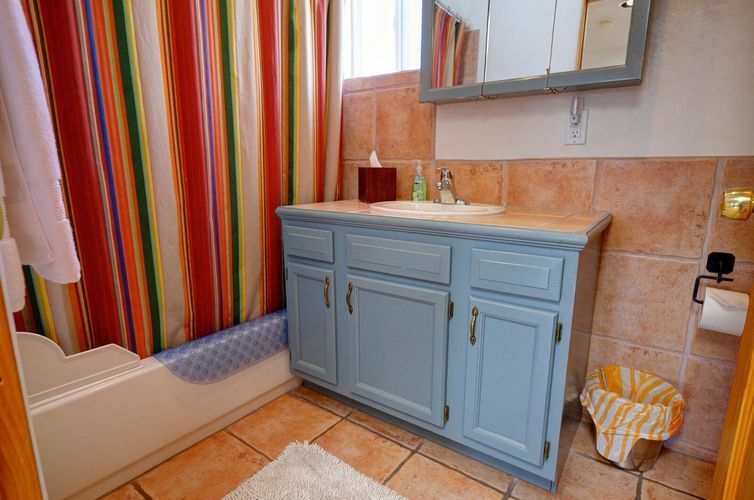 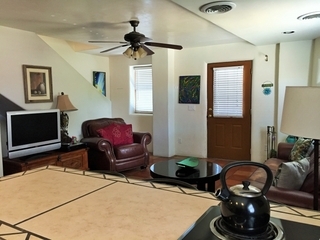 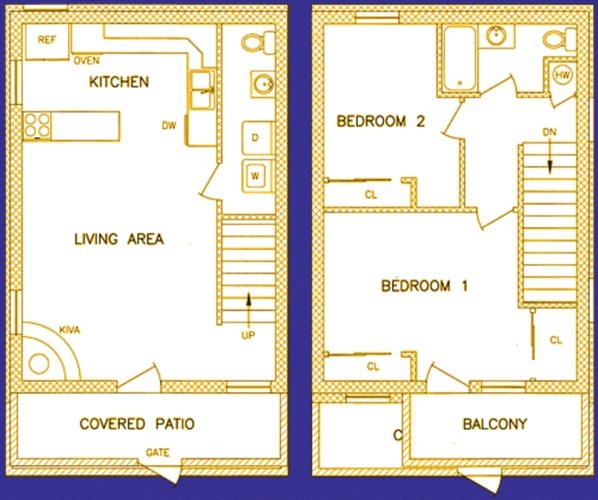 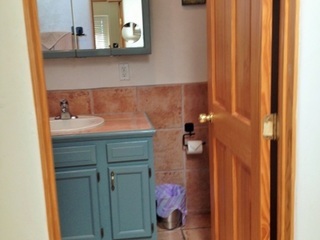 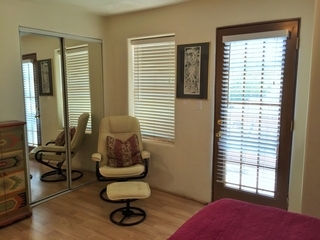 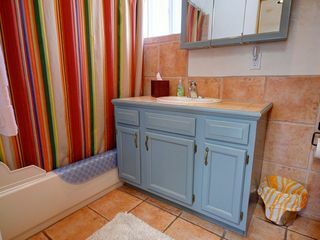 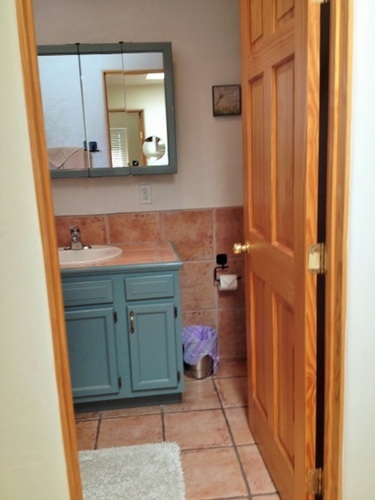 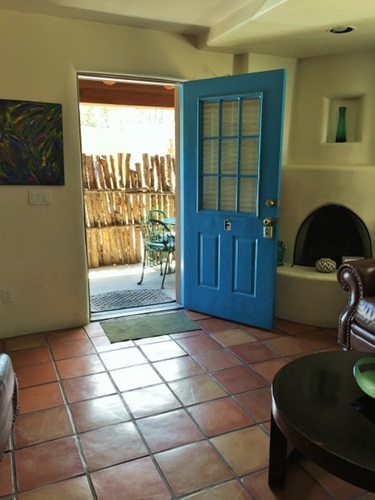 This wonderful 950 square foot casita features a large living area, two bedrooms and 1.5 baths. 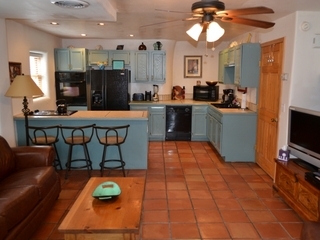 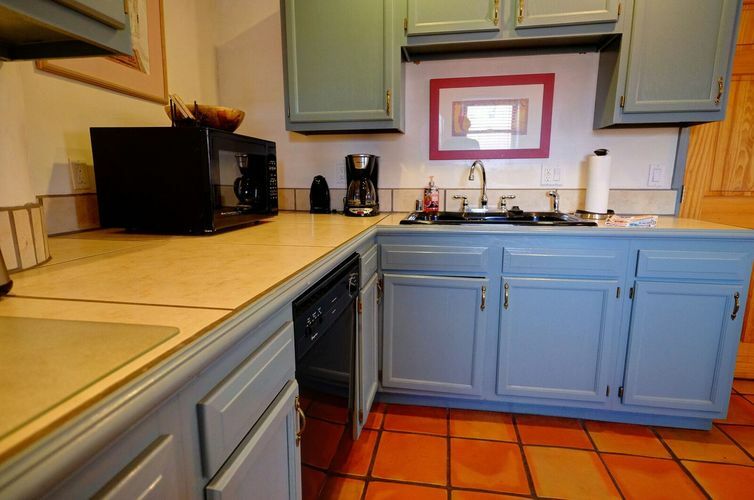 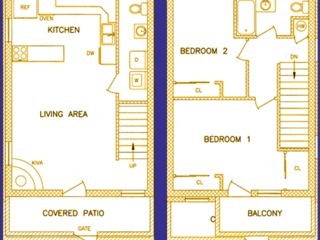 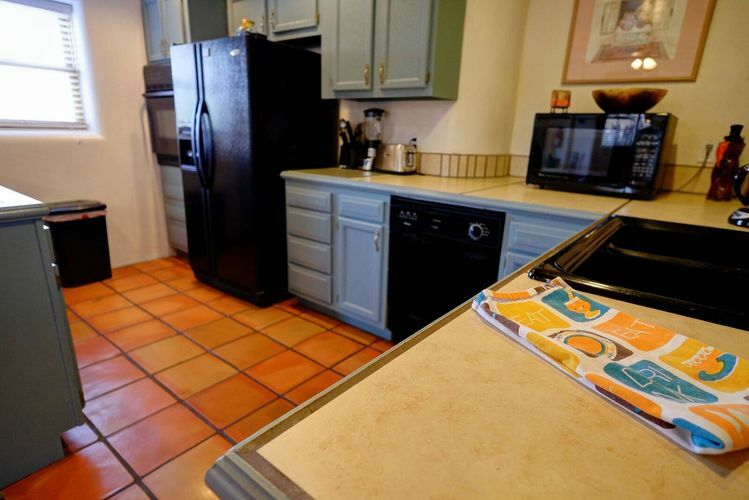 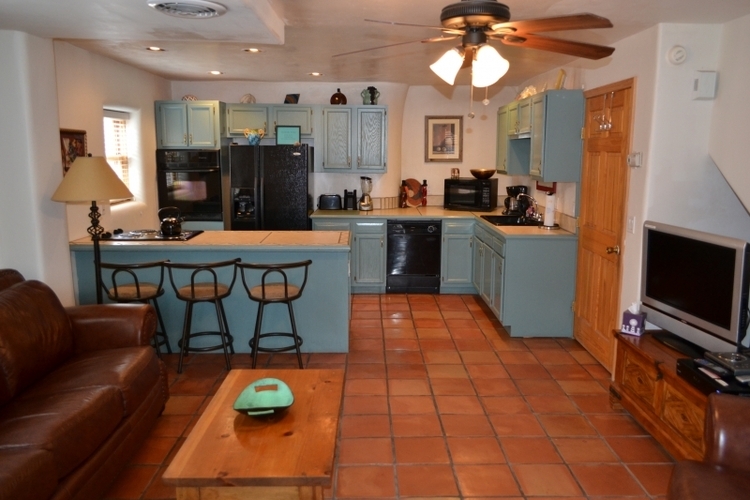 The kitchen is spacious, making this the ideal casita for larger families or groups. 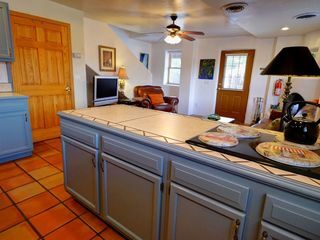 The living area features a breakfast bar that spills into the den area where guests can gather to enjoy good company and a nice meal. 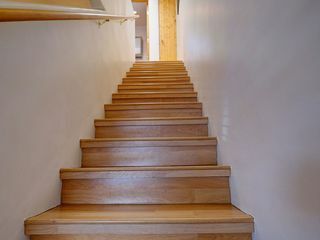 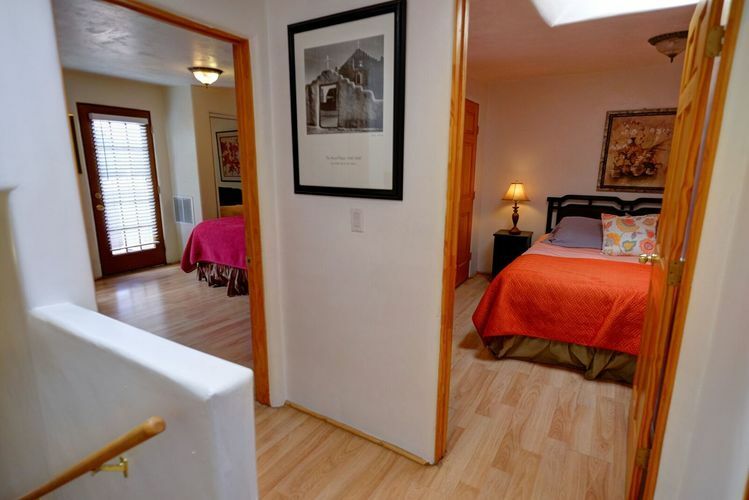 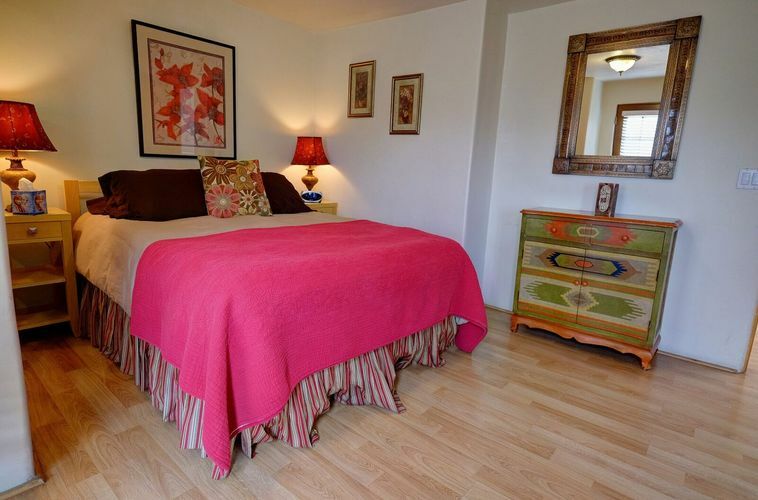 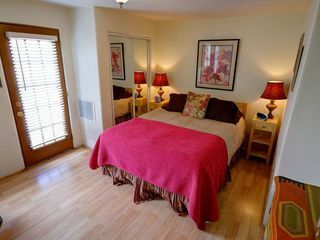 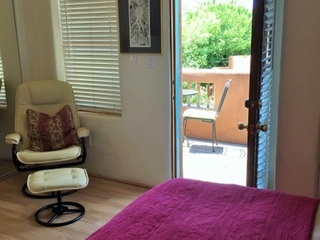 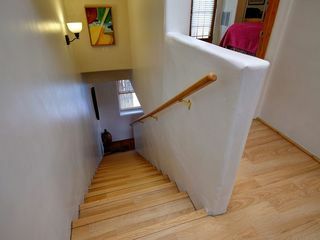 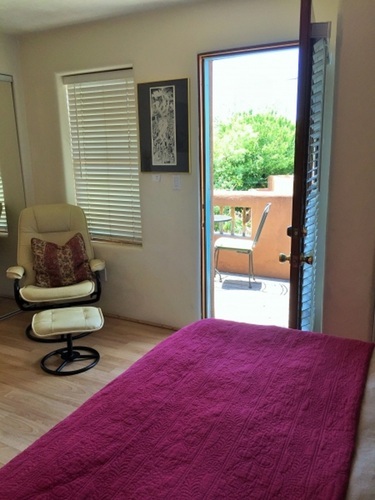 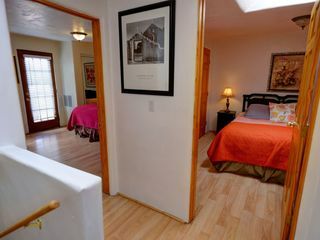 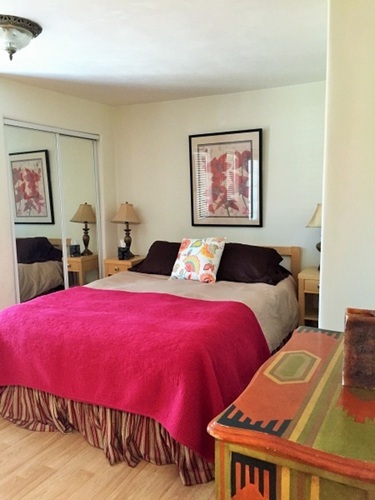 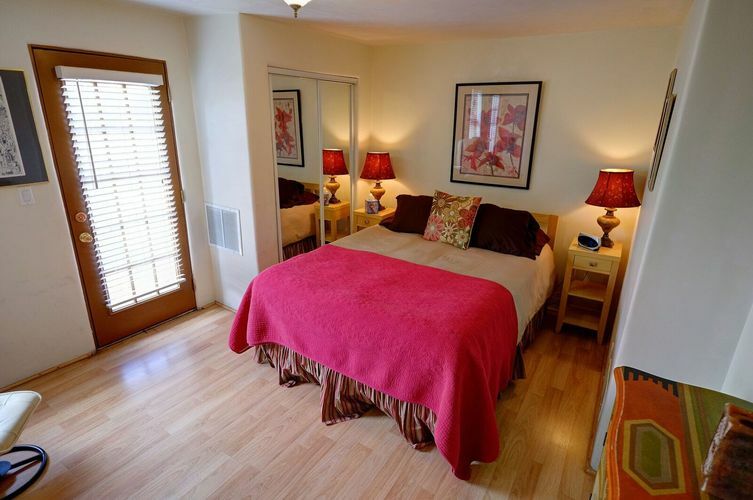 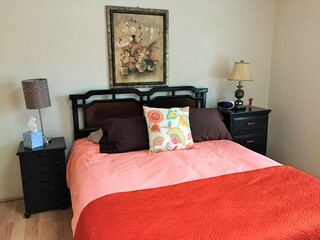 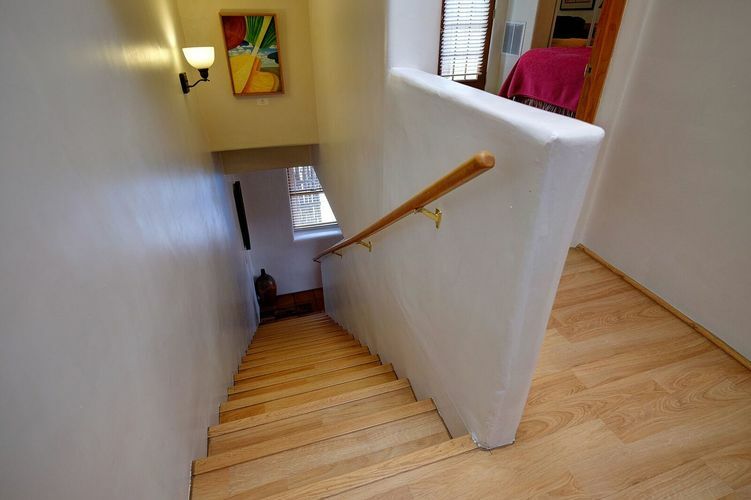 The upstair bedroom has a queen size bed, and a private balcony where you can relax and enjoy a quiet evening and after a busy day in Santa Fe! 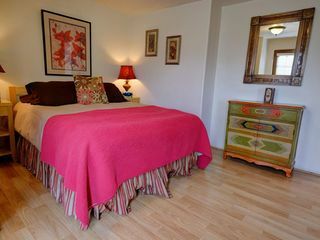 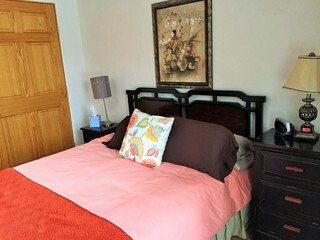 The second bedroom also has a queen size bed and both bedrooms have TV's. 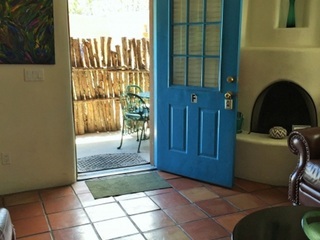 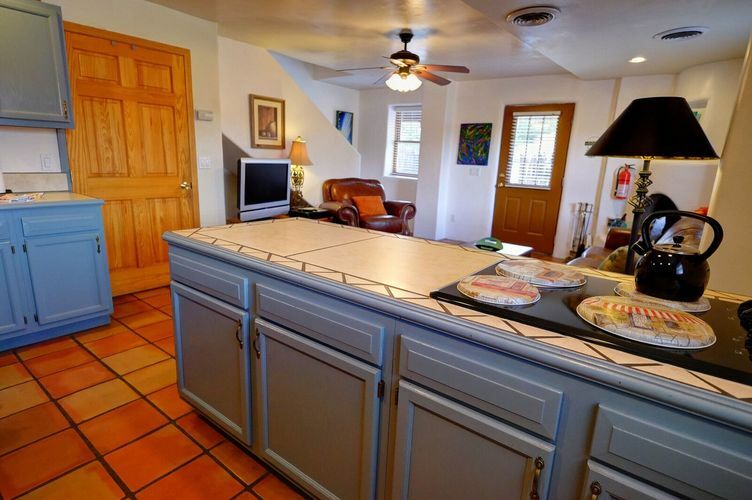 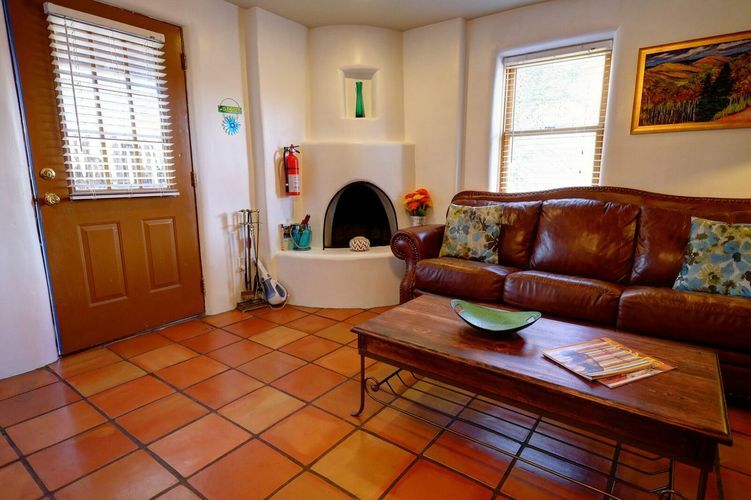 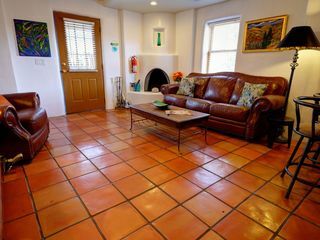 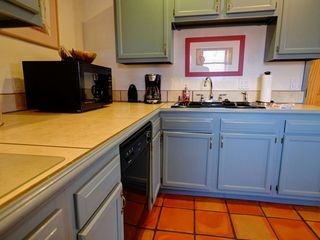 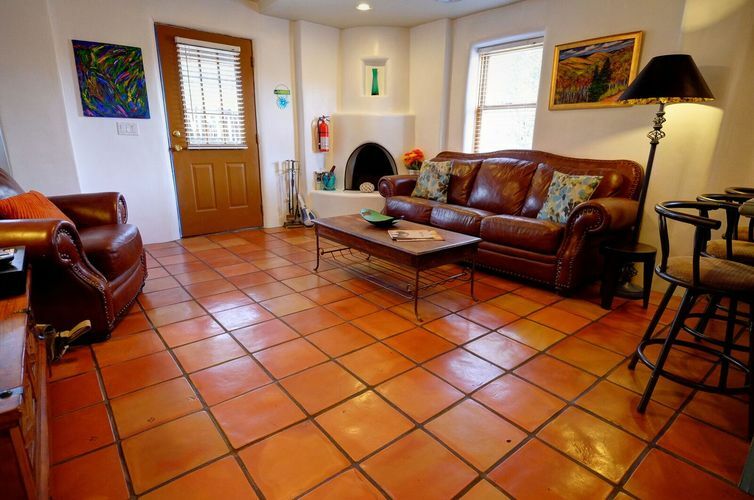 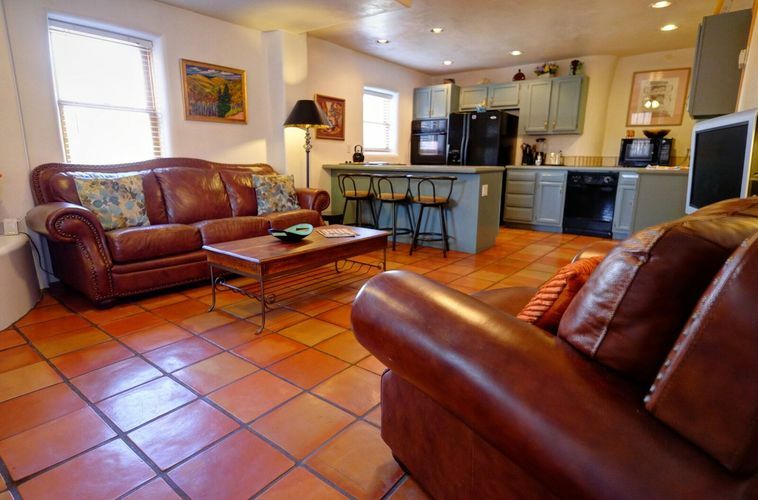 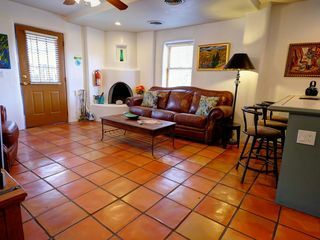 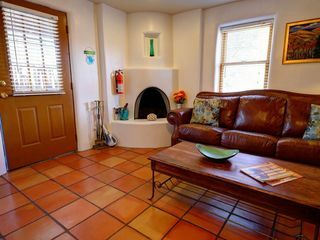 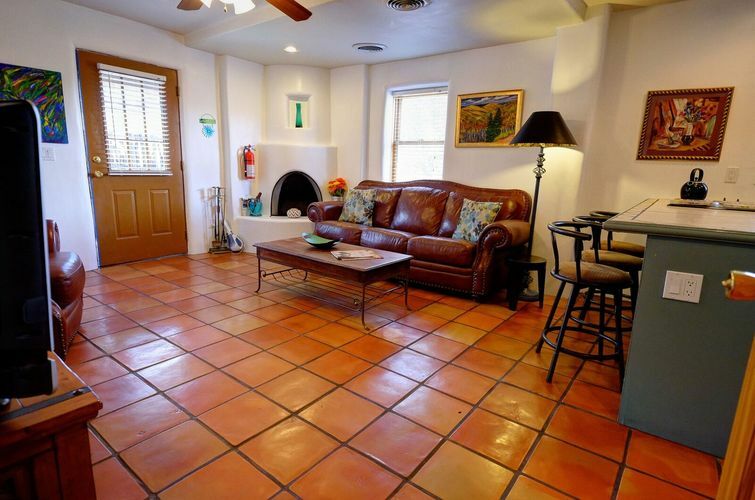 This vacation rental casita has all the authentic touches -- a kiva fireplace, saltillo tile, and hardwood floors. 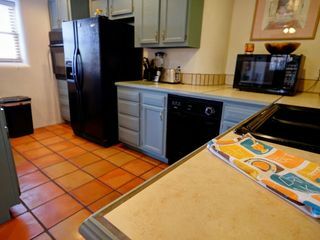 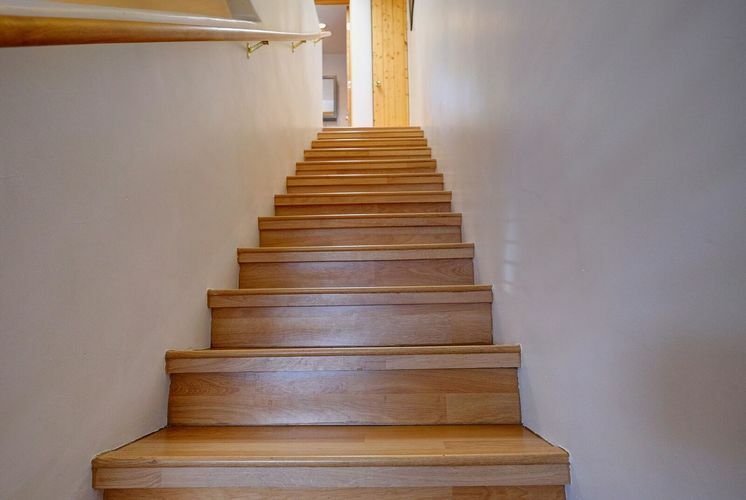 But it has also been skillfully updated to provide you with all the modern conveniences, including cable tv, laundry facilities, a full kitchen, air conditioning and complimentary high speed internet access. 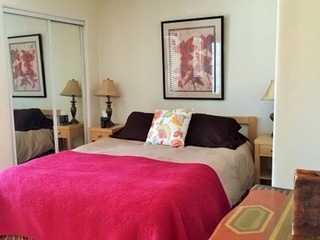 With complimentary parking, you can park your car and walk to the plaza in minutes or to the brand new Railyard. 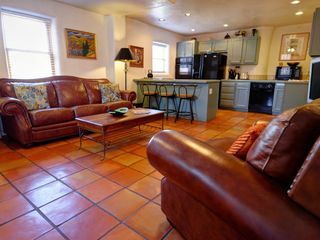 You’re already living in Santa Fe style!